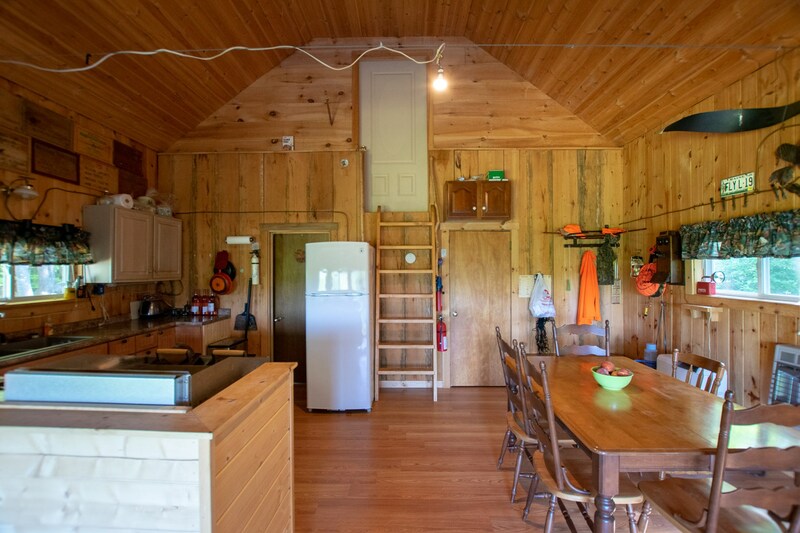 Nestled on the hillside on 420+- acres of land is found the Three Brooks Cabin. 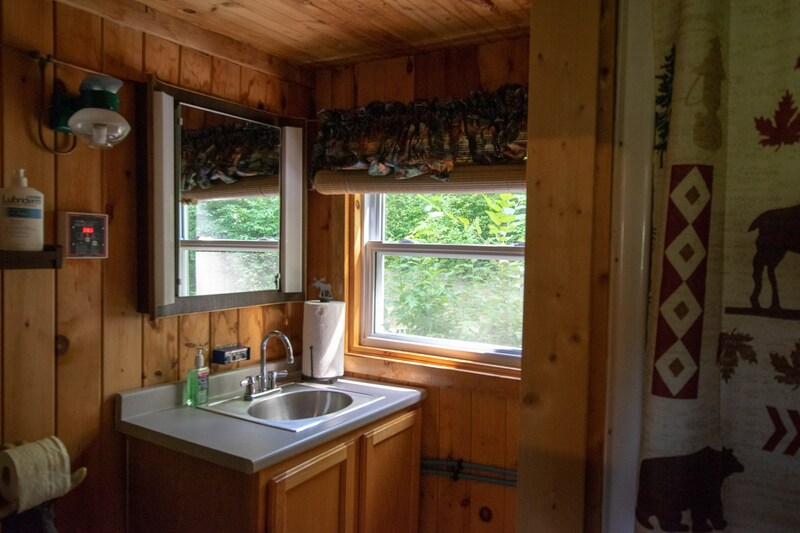 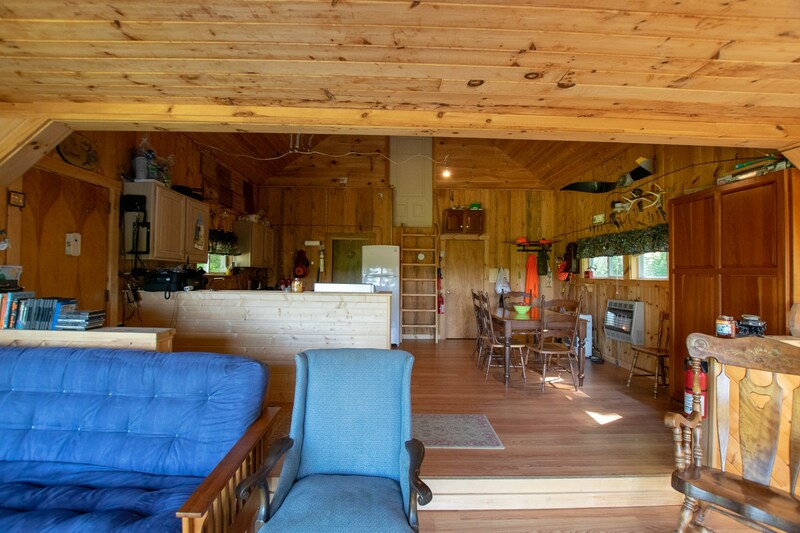 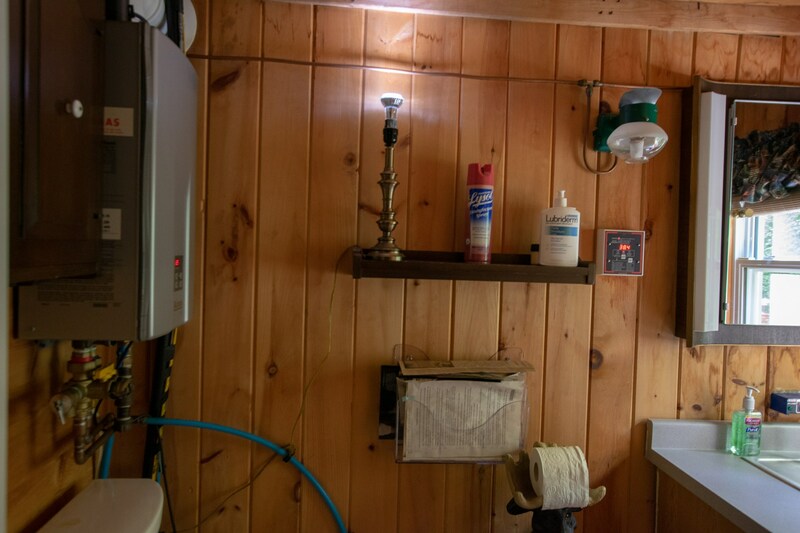 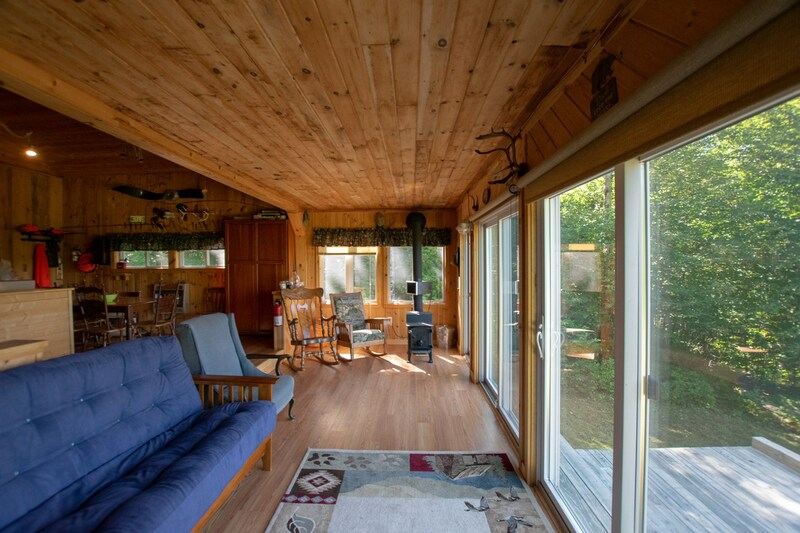 The Three Brooks Cabin is a 934+- square foot camp that is a year-round recreational property. 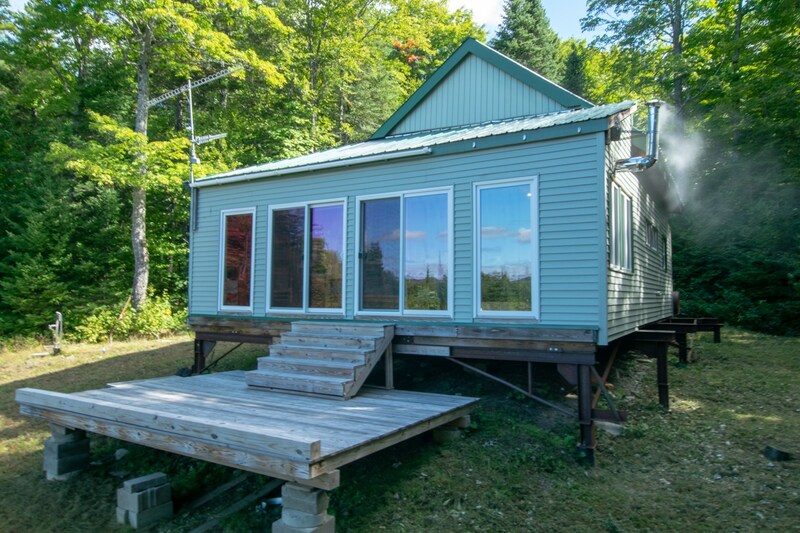 It is very well built. 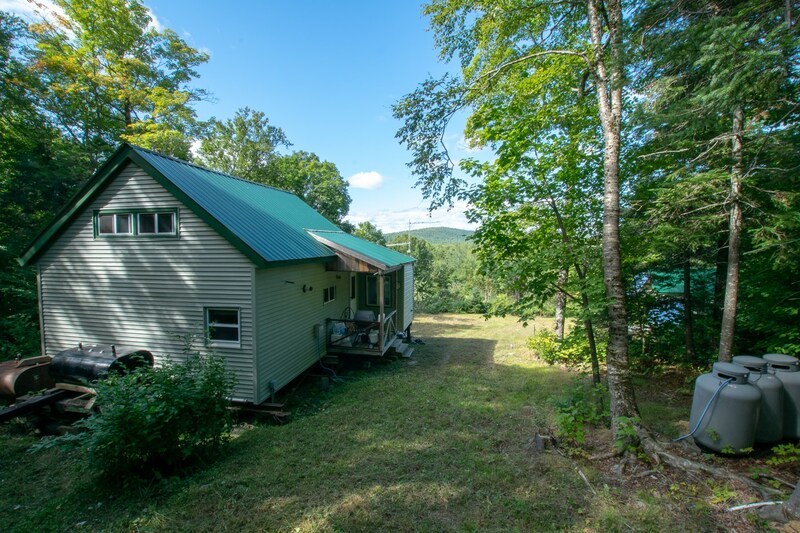 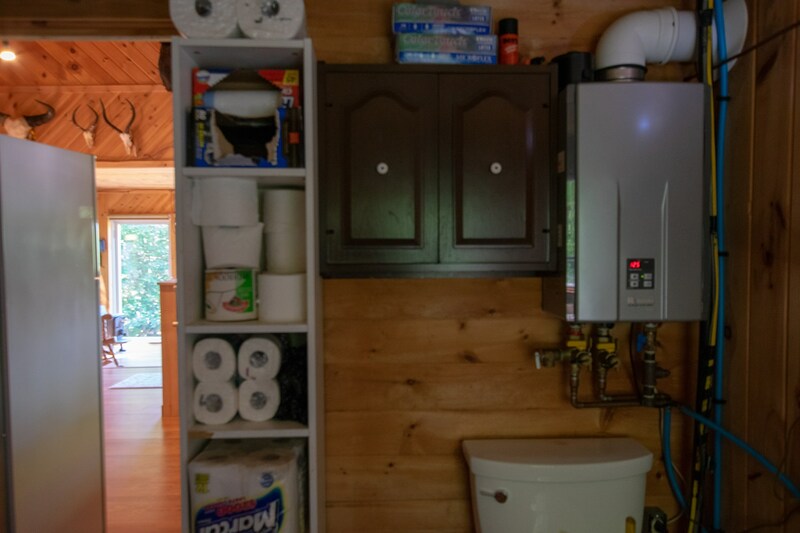 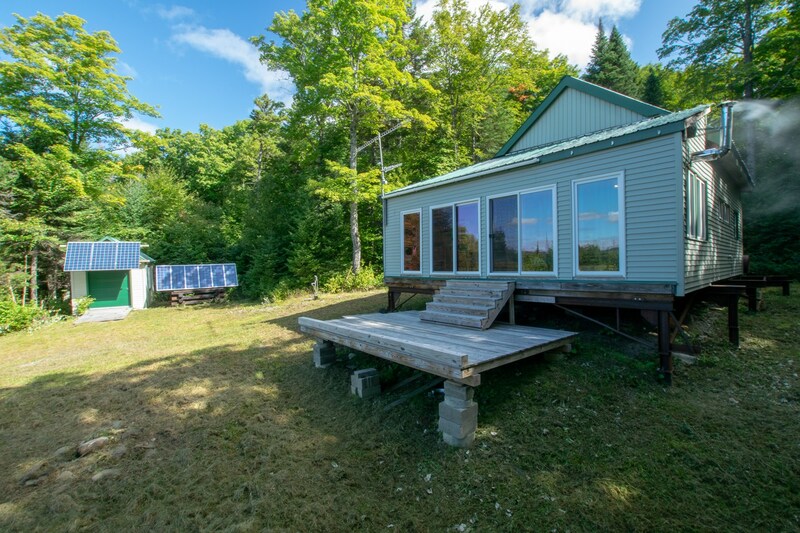 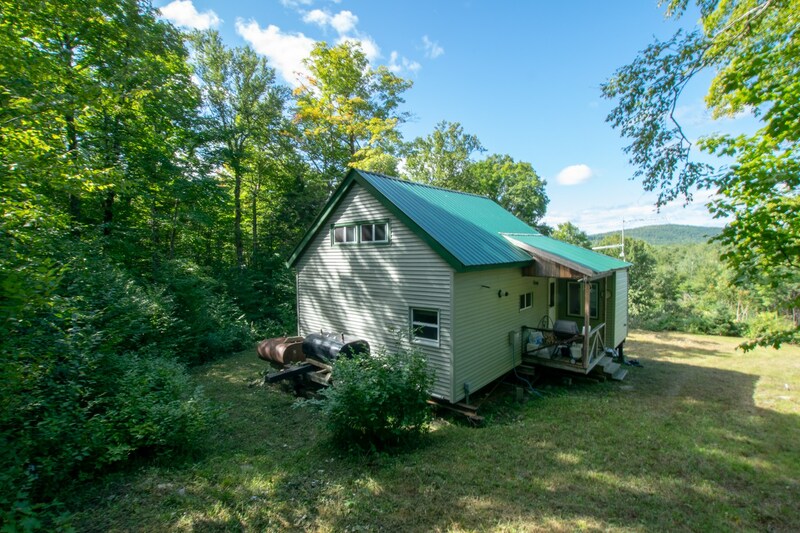 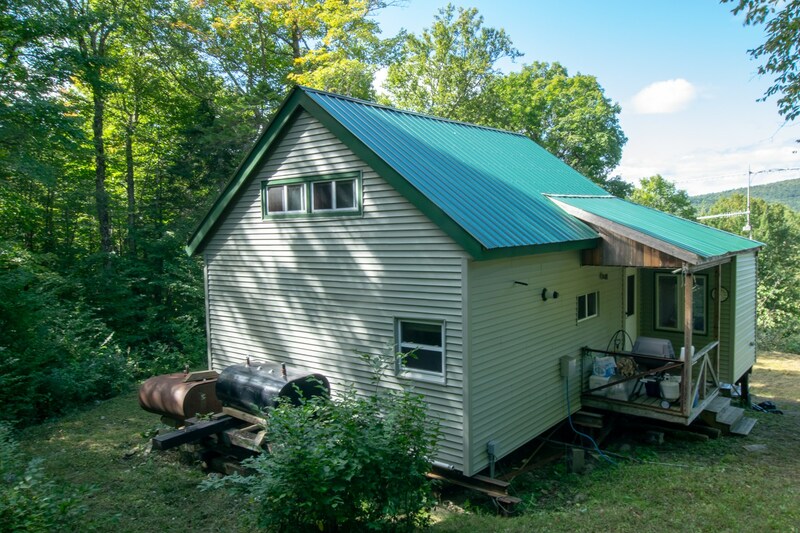 Containing 2 bedrooms, a full bath, a fully appliance kitchen this north woods retreat property is a turn key opportunity for you to obtain a hunting and outdoor recreational property that has been built by and for the outdoor enthusiast at a very good price. 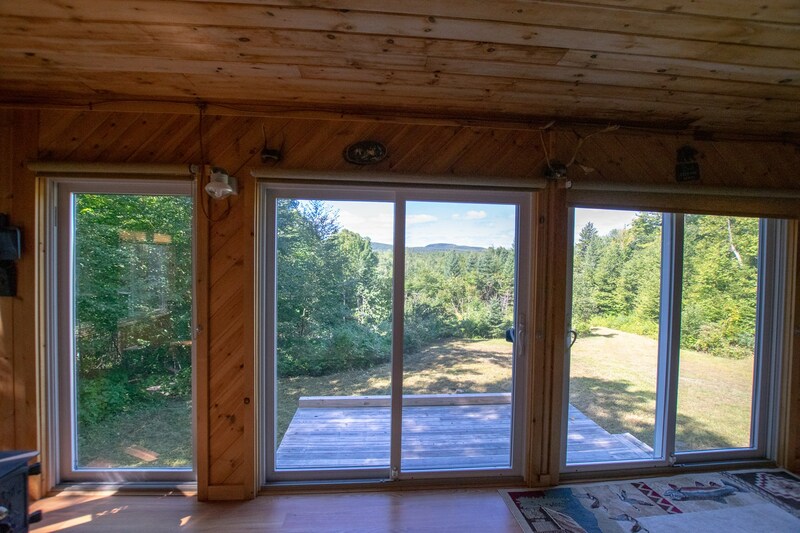 The large sunroom facing west provides amazing sunset views over the surrounding hillsides. 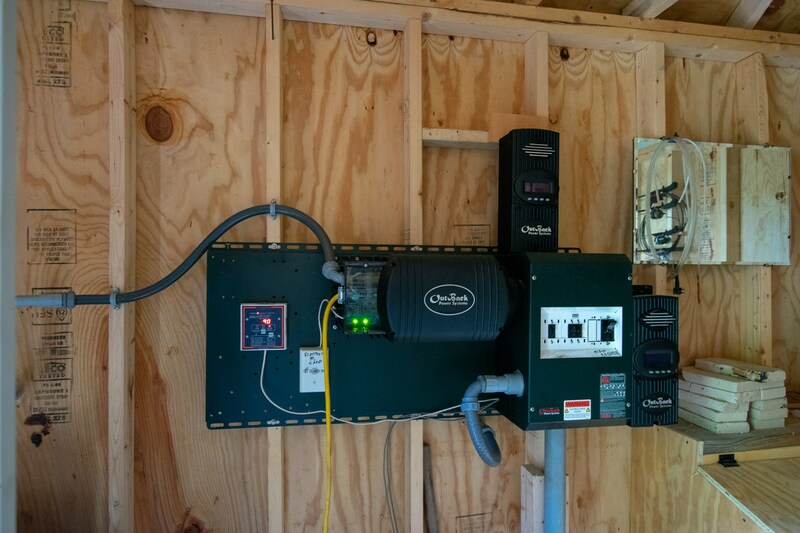 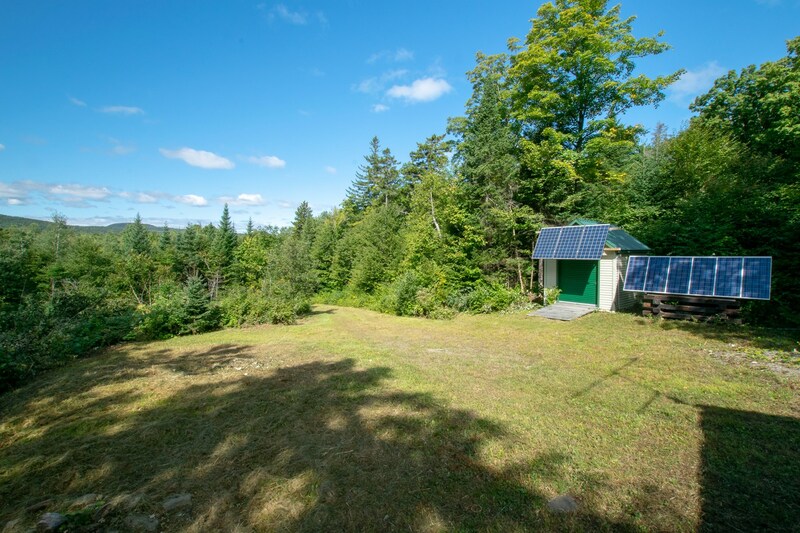 Solar panels and a gasoline generator charge a bank of batteries to provide for the electrical needs of the property that is just 20 miles from the Canadian border. 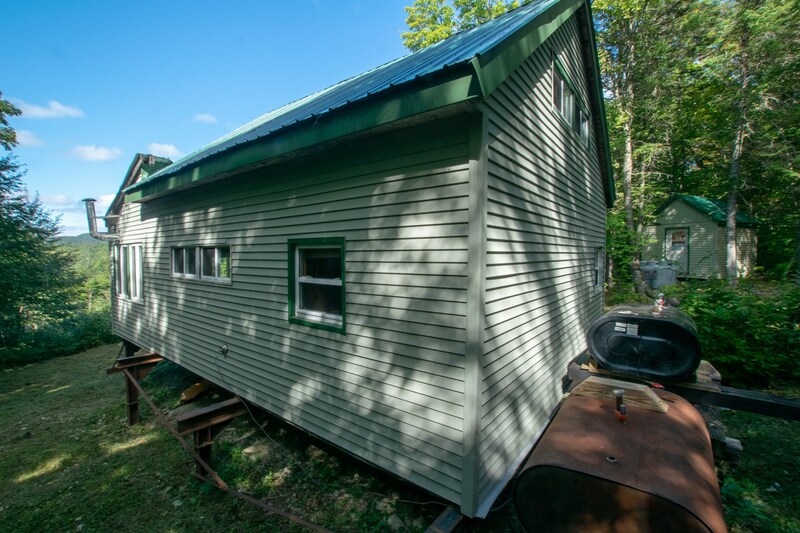 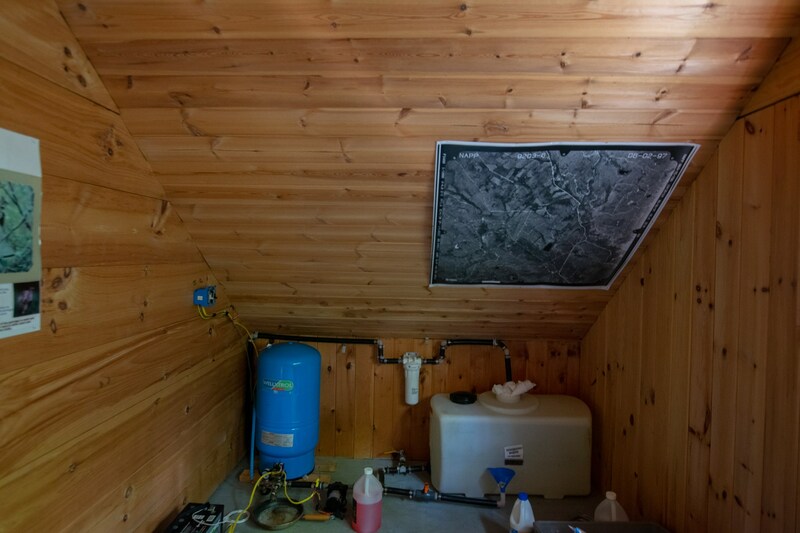 The cabin has a drilled well and septic and is well insulated. 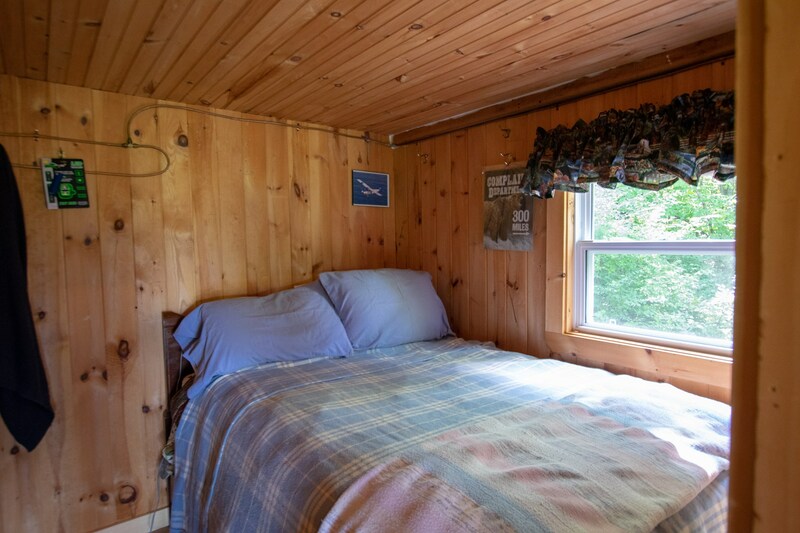 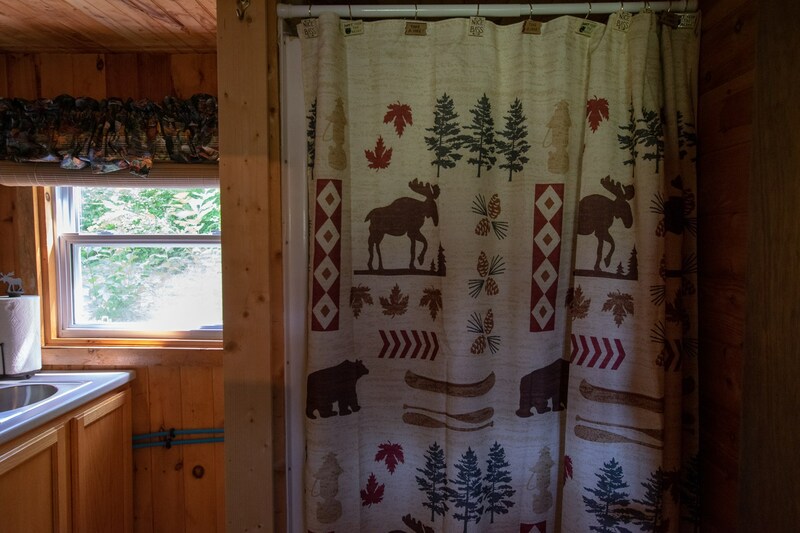 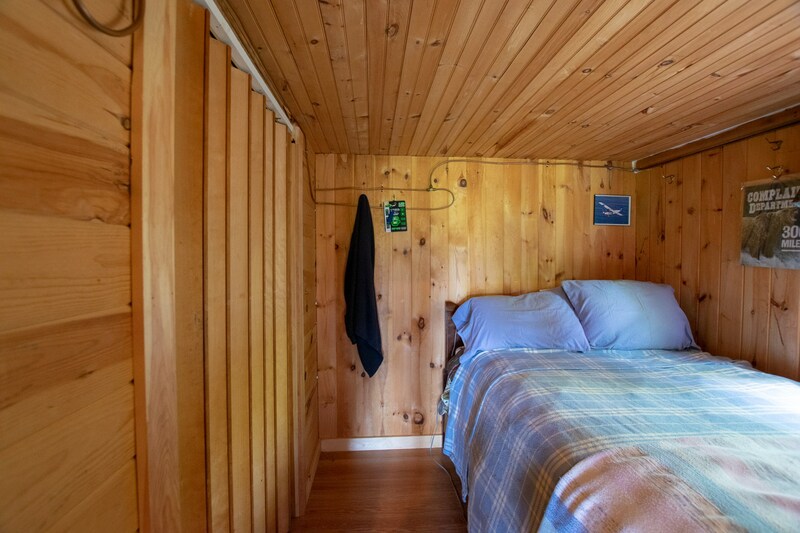 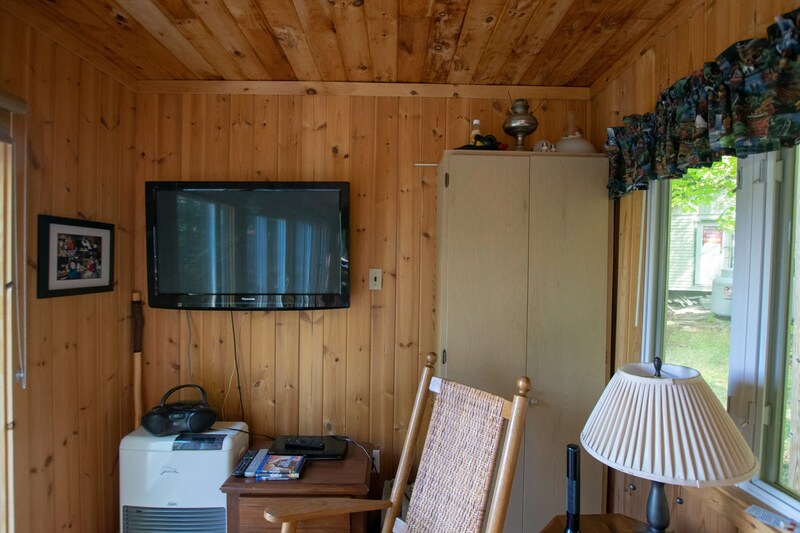 No matter what the season, you can be very comfortable at the Three Brooks Cabin. 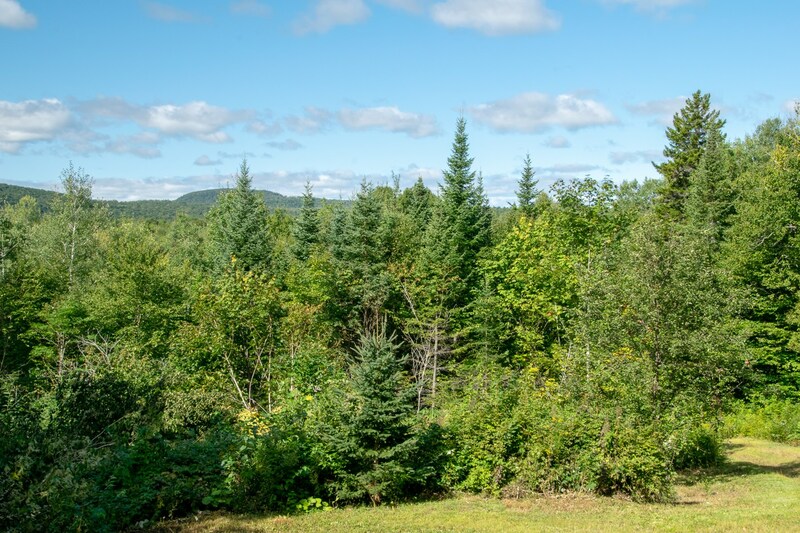 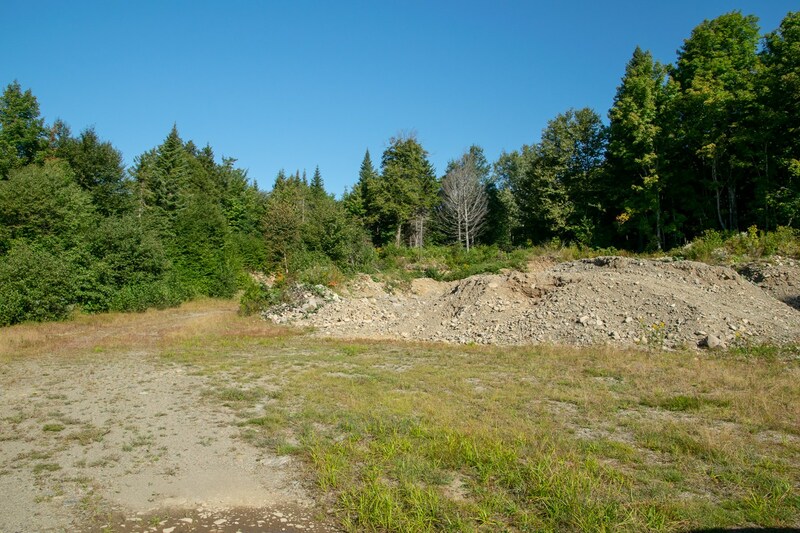 The property is located in the North Maine Woods which is an area of approximately 3.5 million acres of sparsely populated commercial working forest. 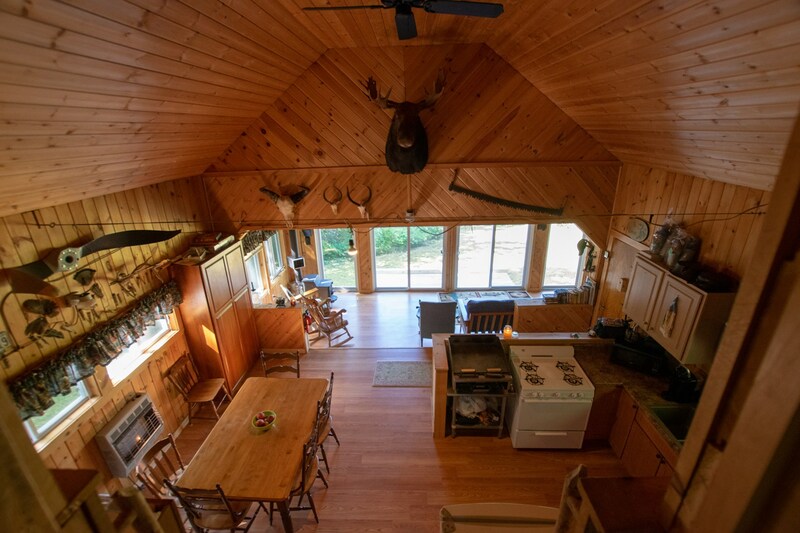 This is an area where the moose outnumber the people. 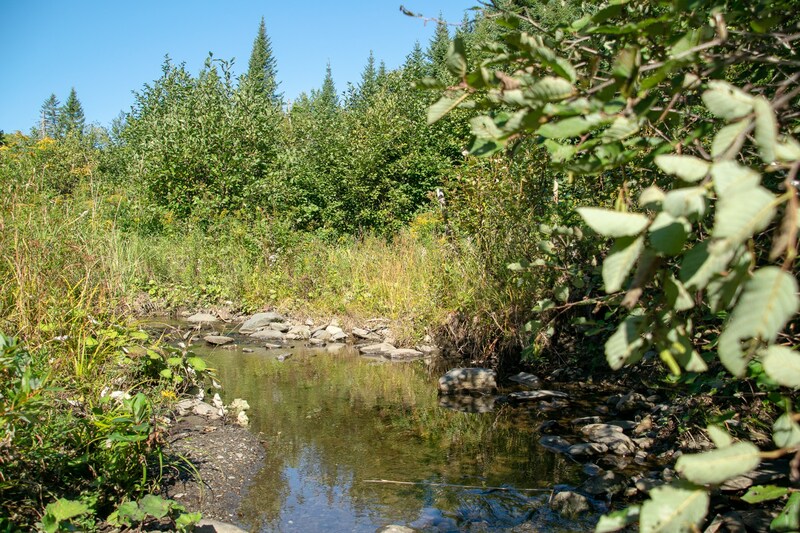 Countless lakes, ponds, rivers and streams provide angling opportunities. 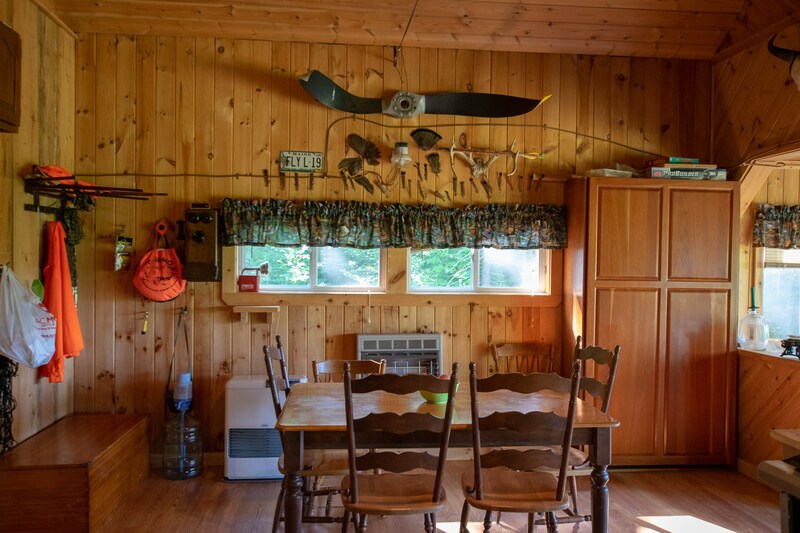 From brook trout to muskies, you can find countless open water and ice fishing opportunities accessible from your Three Brooks Cabin retreat location. 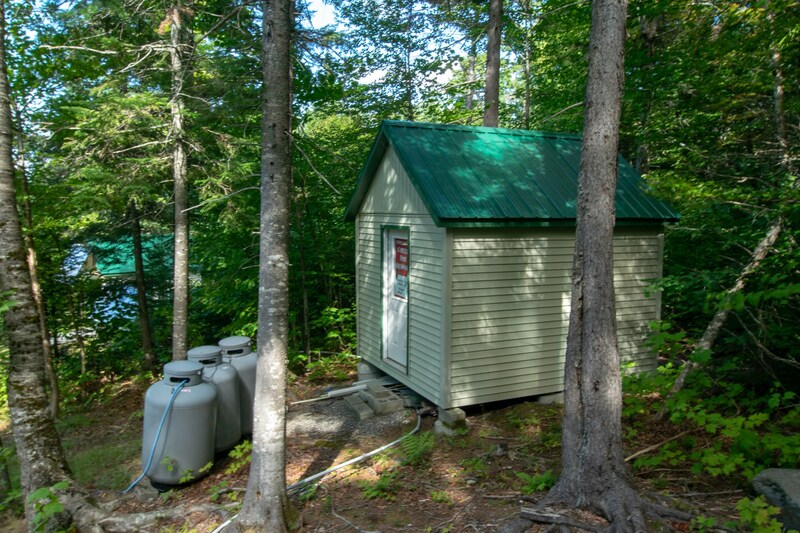 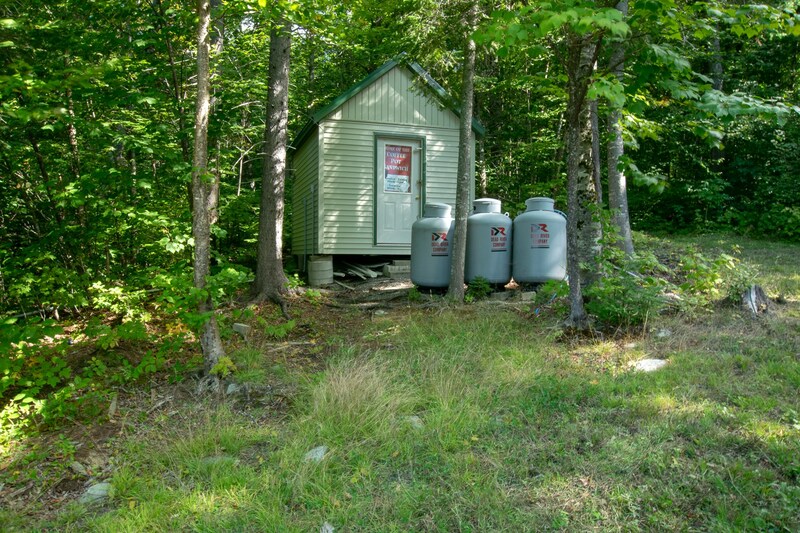 There are very few smaller parcels within the North Maine Woods area. 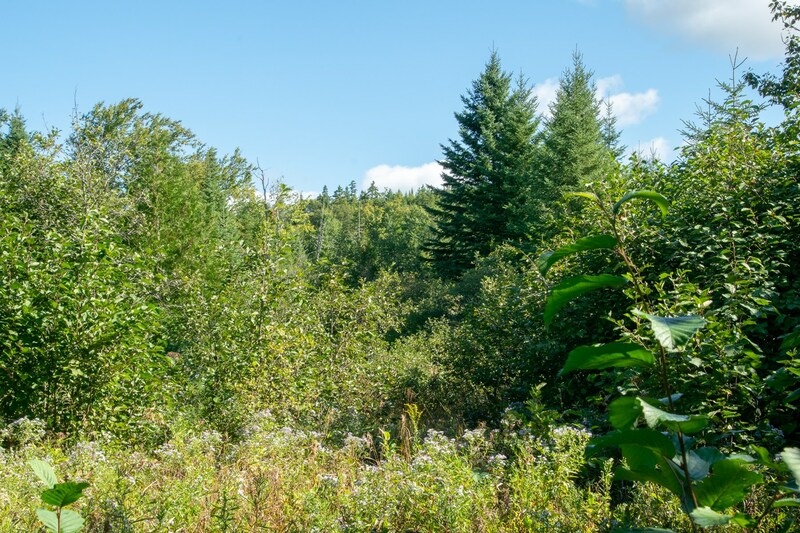 Most of the land is owned by corporations, but the unique relationship here provides access to recreate on the commercial woodlands owned by the landowners within the North Maine Woods. 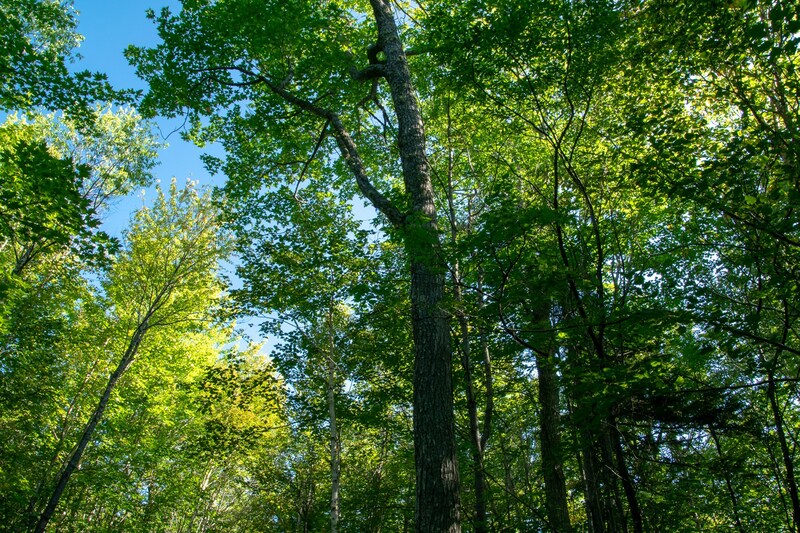 The area is home to some of the largest whitetail deer found in the United States. 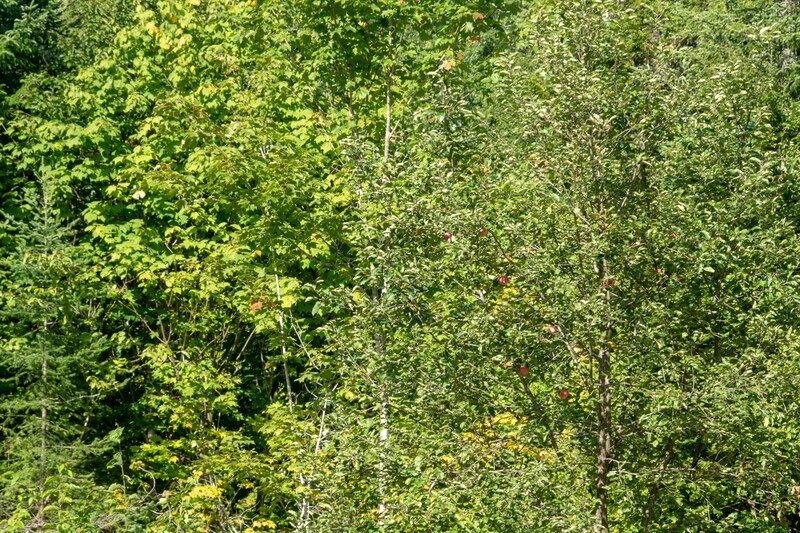 These big woods bucks are tremendous trophies. 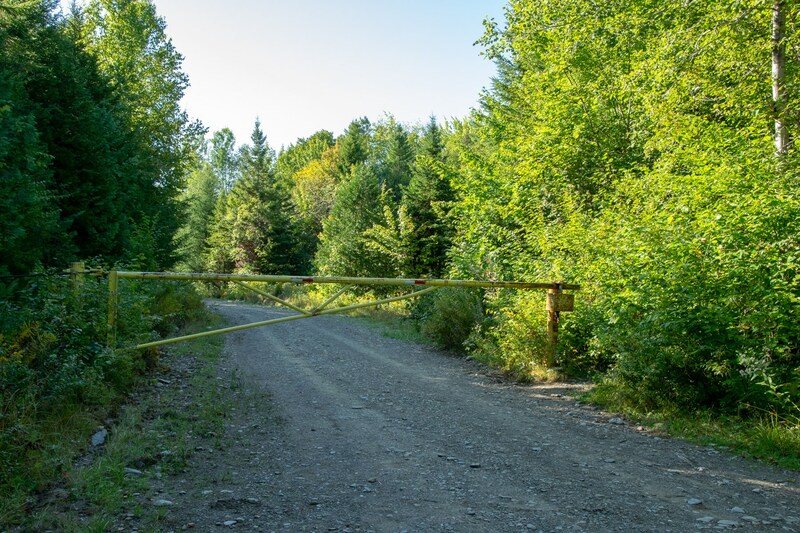 Hunting for them will test your skills as an outdoorsman. 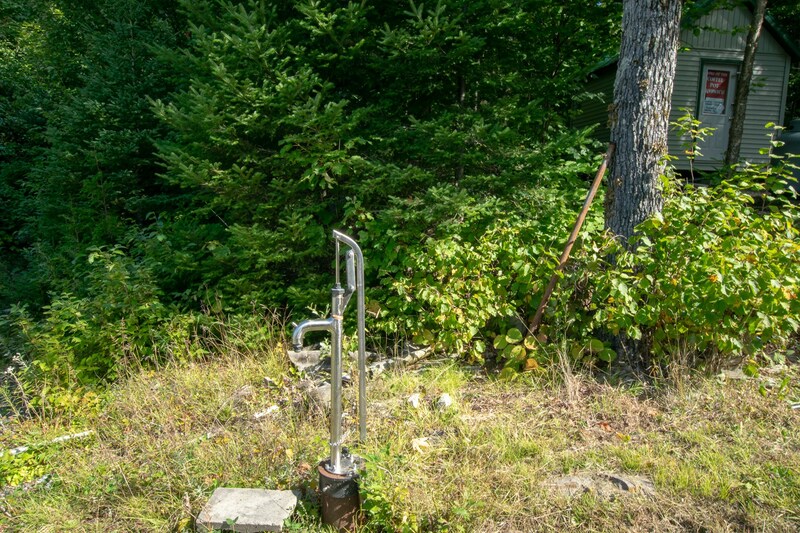 Not only is patience required, but also a great deal of stamina. 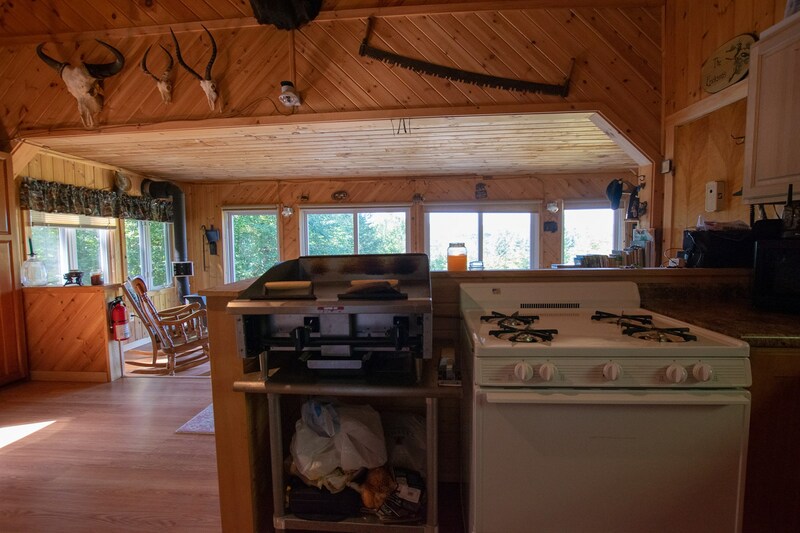 The wooded acreage was last harvested in the late 1980’s. 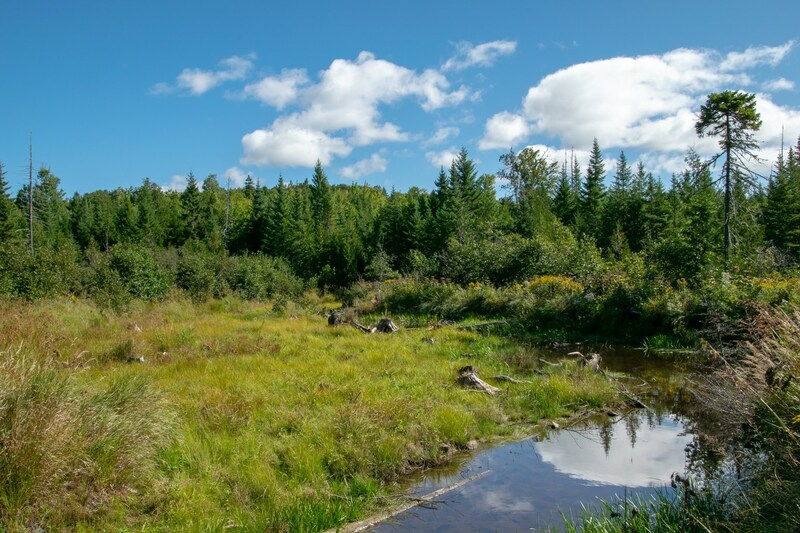 There are three small brooks that drain the hillsides of the property and empty into Elm Pond. 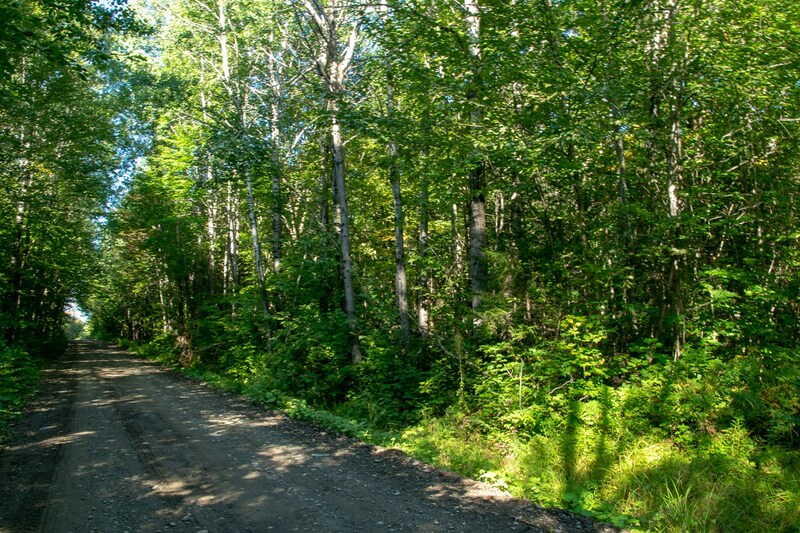 The old logging trails and soft earth near the brooks have deer, moose and other animal tracks crossing them. 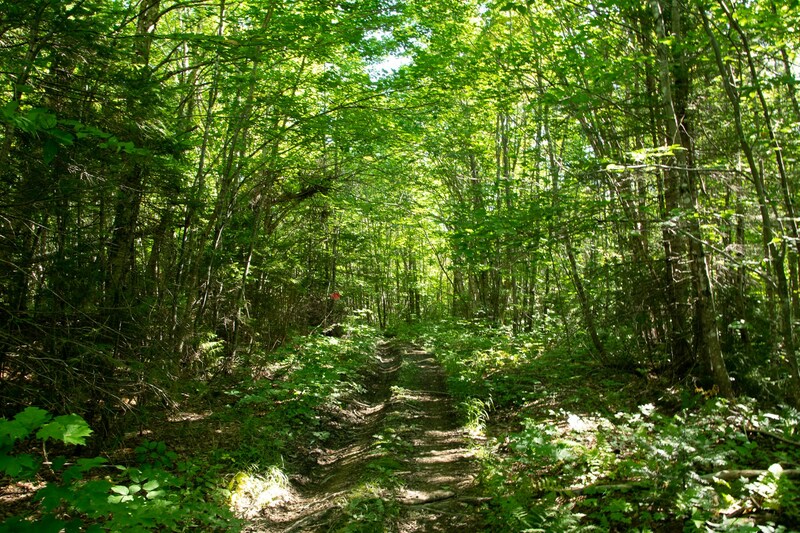 Numerous game trails through the thick understory are indications that numerous deer, moose and other game are making their home upon the 420 +- acre parcel. 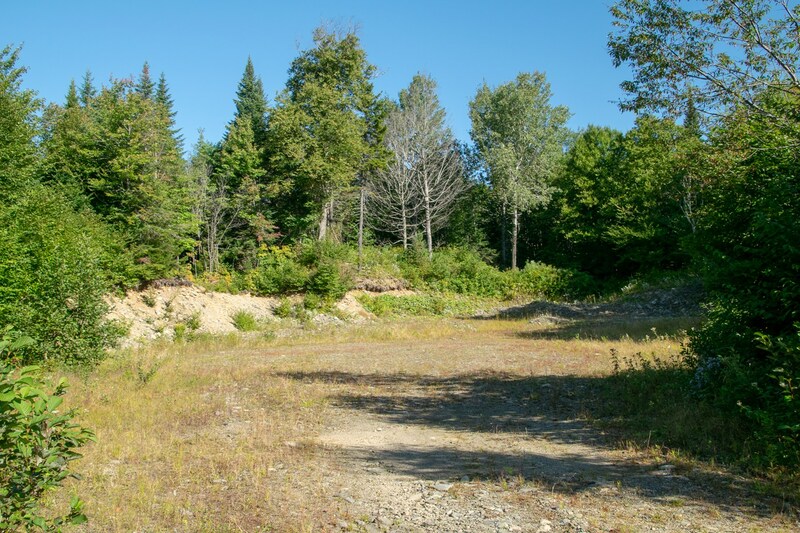 This part of the state is a prime ruffed grouse hunting destination. 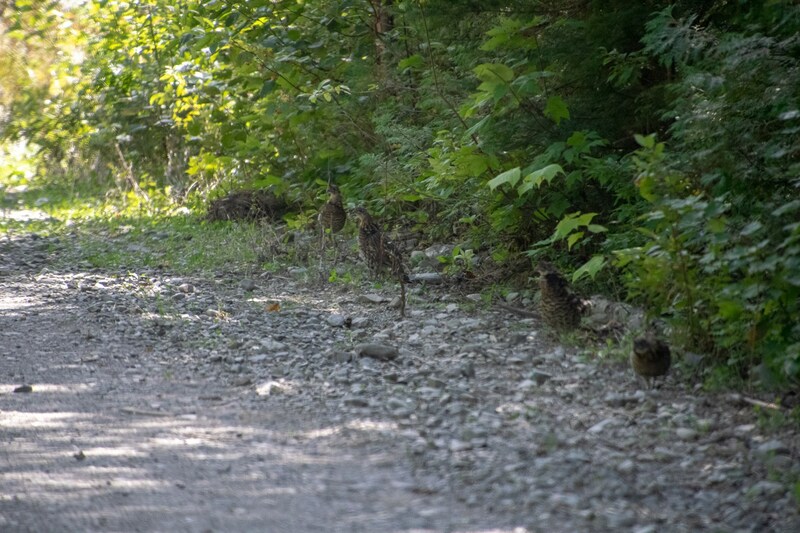 The large expanses of forest are filled with many species of large and small game. 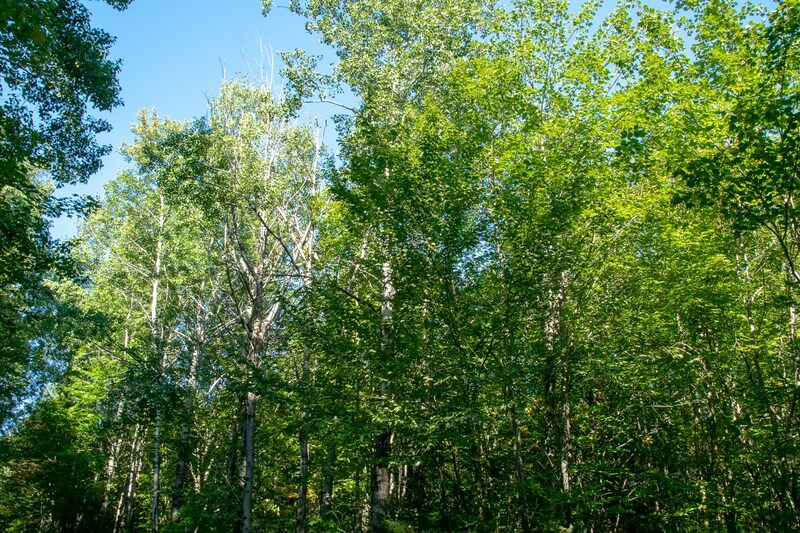 The surrounding area is wooded with predominately sugar maple and other hardwood species. 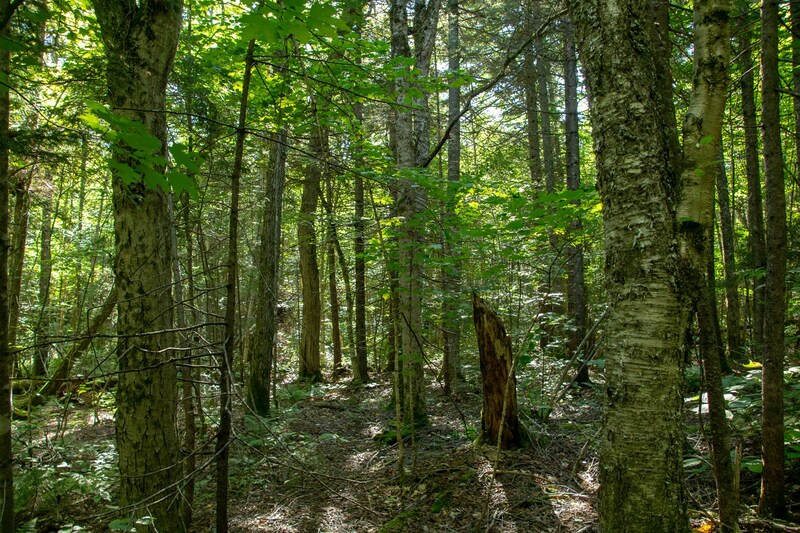 Some softwood stands are interspersed amongst the hardwoods. 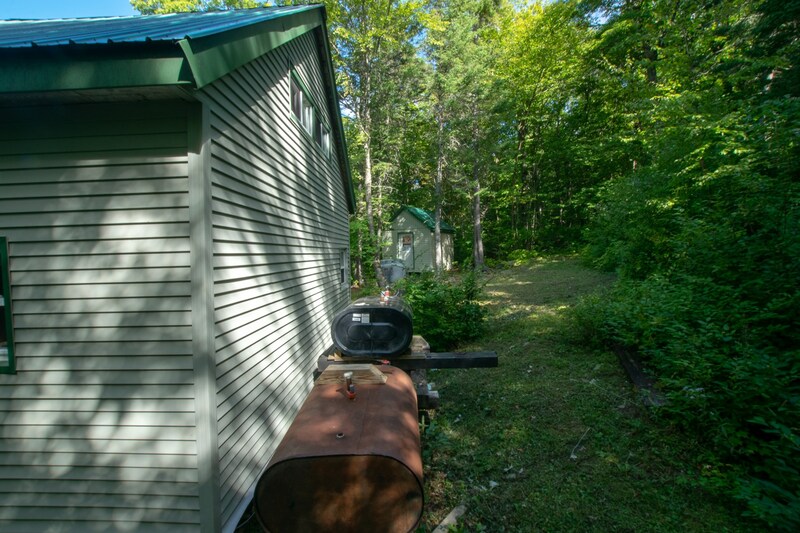 Mixed wood stands and some whitetail wintering yards are located nearby. 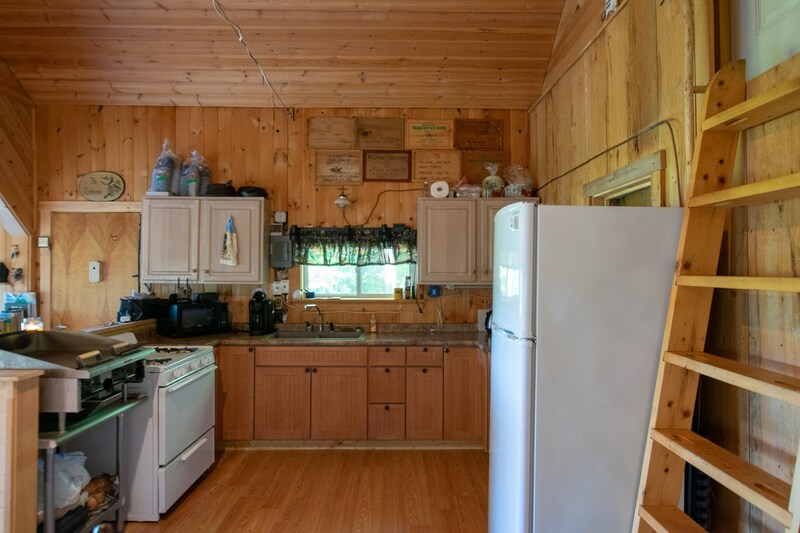 Seboomic Lake, the St. John Ponds and several trout streams are located just a short drive from the property. 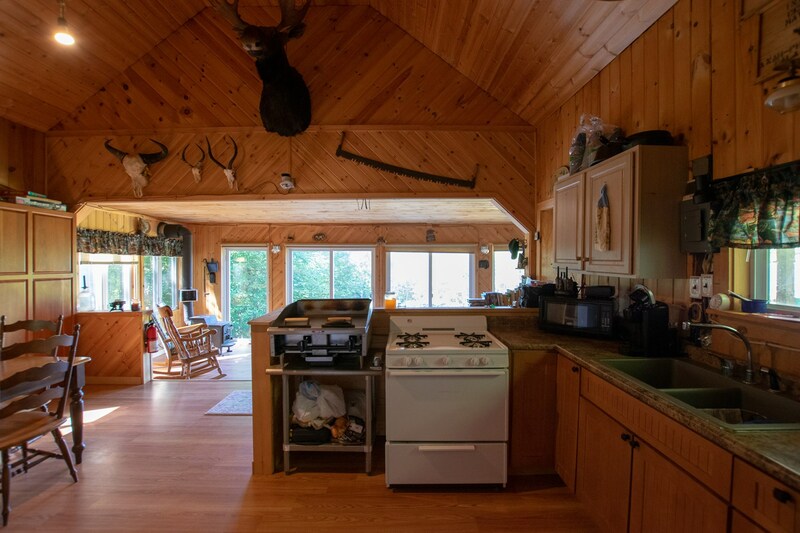 If you like to hunt, fish, ride recreational vehicles and get immersed in the forest, then this is a property you need to see.